Elshan Madjidov is an inspector based in Baku in the Ministry’s Department of Biological Diversity & Protected Areas. 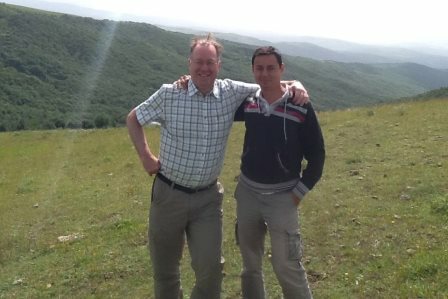 Part of his job is to make regular trips to Azerbaijan’s national parks to check in on operations and problems, and to monitor conservation efforts in the field. He also acts as driver for the Department’s partners and donors on field visits. Elshan has driven me around town and on shorter excursions for the last couple of years. Today we embark on our first longer excursion together, a two day trip and my first foray west of Baku and into Azerbaijan’s north-central heartland. Our destination is Shahdag National Park in the Greater Caucasus mountain range, a chain that stretches 1,000 kilometers east to west from Azerbaijan’s Caspian Sea coast across the border with Georgia and to the Black Sea. 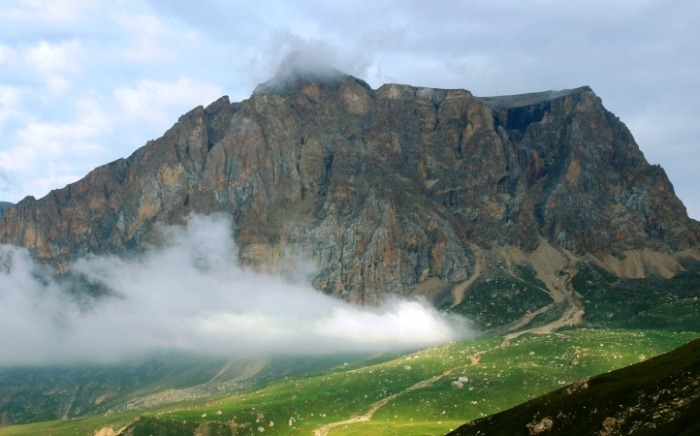 Shahdag is the largest of the South Caucasus protected areas with over 130,000 hectares (about 320,000 acres) under protection. The park is composed of a series of a half-dozen geographically separate but closely proximate territories which, together with their connecting corridors, form an integrated alpine and mountain forest, meadow and steppe ecosystem. As we head out of town past Baku’s urban sprawl, a vast landscape of rolling semi-desert steppe opens up. 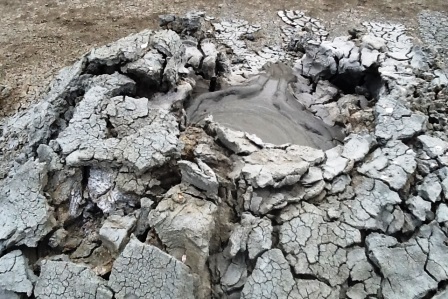 This is one of the territories where efforts are underway to re-introduce the gazelle, but it is also home to some of Azerbaijan’s many thousands of mud volcanoes, and Elshan and I stop to visit a cluster of them. The volcanoes come in different sizes and configurations–this is a grouping of six ant-hill shaped eruptions of dried mud the size of a tall man set in a semi circle around a cracked mudscape about the size of a volley ball court. Atop the active two of these mini-Vesuvius, mud bubbles out of a small crater. Between the burbling mud and the vast semi-desert landscape, it is as if we have been miraculously transported to another planet. Leaving the mud volcanoes, we drive further west, where rather suddenly, vineyards and fields of wheat emerge. 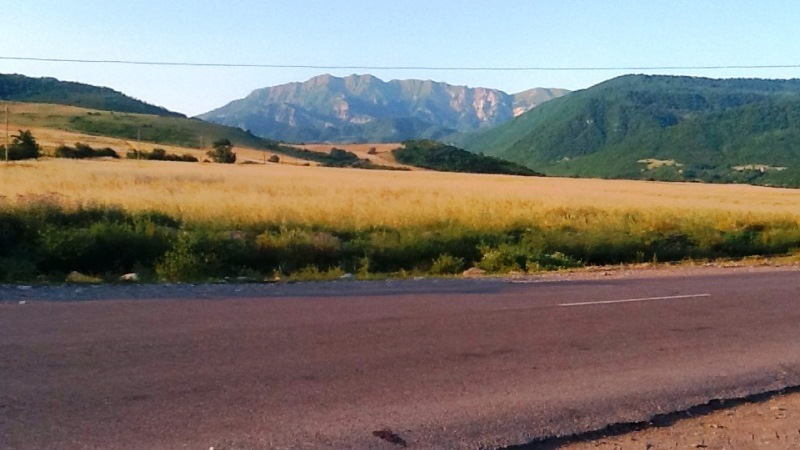 Vintners, farmers and herders work this fertile farmland that nestles unexpectedly between the desert and the greater Caucasus forest highland domain that is our destination. As we reach Shahdag, the arid heat of only an hour ago contrasts starkly with the freshness of these rich landscapes full of endemic flora and fauna. 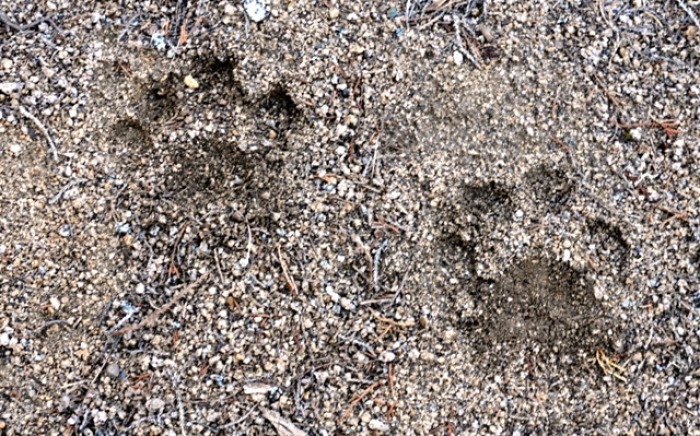 The oak, beach and hornbeam forests are home to red deer and brown bear. Endemic Caucasian tur roam the park’s mountain peaks, which include 10 over 4,000 meters, among them mount Bazardüzü which at 4,466 meters (14,652 feet) is the highest mountain in Azerbaijan. Although another visit is required, my 24 hours in the Ismayilli and Pirqulu districts of the park were enough to breathe the air, feel the forest, and convince myself that CNF is indeed right in trying to help here.